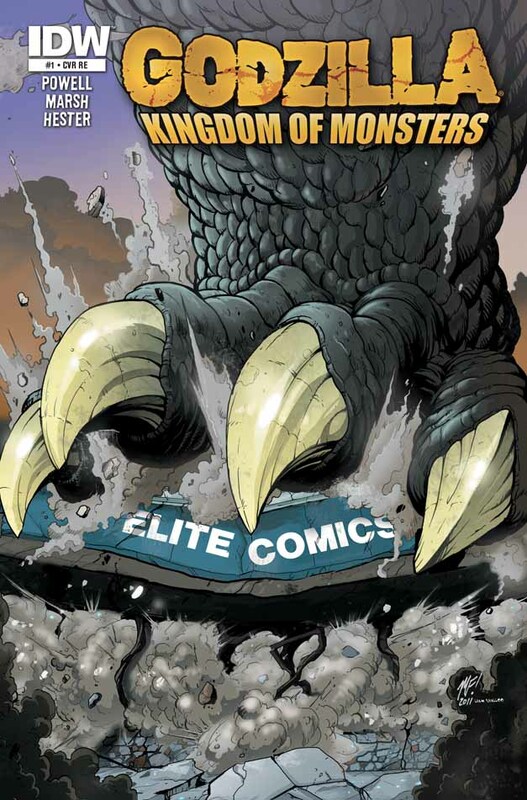 Elite Comics is smashed by Godzilla on an exclusive variant cover of Godzilla: Kingdom of Monsters #1, published by IDW. Our Army at War [trade paperback] (DC Comics) – Written by B. Clay Moore and others. S.H.I.E.L.D. Infinity [one-shot] (Marvel) – Drawn by Kevin Mellon and others. This entry was posted in Local Creators, New Releases and tagged Alex Grecian, Ande Parks, B. Clay Moore, Bruce McCorkindale, In Stores, Jai Nitz, Jason Aaron, Phil Hester. Bookmark the permalink.